I am a huge, huge, huge lover of notebooks, pens, highlighters - anything that looks pretty. Writing down my to-do lists and goals for the week and weekend really keeps me focused and buying pretty stationery makes it more fun right?! I've recently started writing down what errands I need to run, the blog posts I want to write and general tasks I need to do. For example, I've already knew that I had to run to the Post Office this week to collect a few blog parcels, then I also had to run to Zara to pick up a coat. I then came back and started to take blog photos straight away. Writing a timed list is quite keen but it just keeps me focused and then I can spend the rest of the afternoon relaxing. I was so, so, so guilty of putting things off this year. I would simply push the task back a day, then another day and the whole time I would secretly be thinking about it. If you have to return a dress or book that doctor appointment get it out the way. 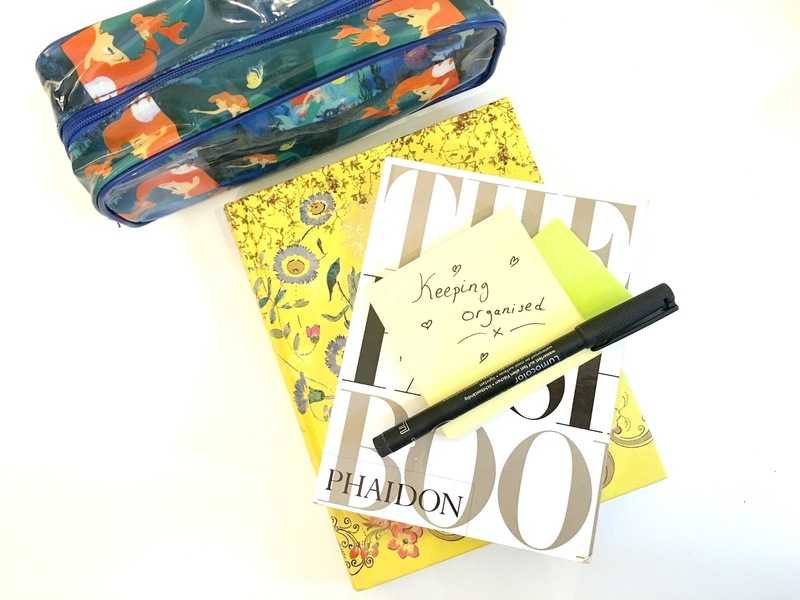 For me, being organised is about keeping on top of everything and knowing what your end goal is. Ignoring things will just cause unneeded stress! I don't know about you but whether I am watching a particular character in a film or Youtuber, I usually feel inspired one way or another. I think there is always someone that will be more organised than you, whether they visit the gym at 5am or already write their Christmas list, but don't let this make you feel down or anxious about yourself. I think it's a great way to motivate yourself and it definitely reminds you that you can always find ways to improve.